MLS goalkeeper who was named to his second consecutive MLS All-Star game with Real Salt Lake in 2011. He joined the US national team in 2002. He played two seasons for the UCLA Bruins before making his professional soccer debut in 2000. He earned MLS Save of the Year honors with Real Salt Lake in 2012. He had two children, Jett and Benny, with his wife Jacqui Little. 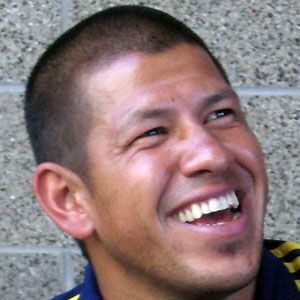 He became teammates with Landon Donovan on the US national team in 2002.